terms and conditions | Rhino Building Products, Inc.  This website is operated by Rhino Building Products. Throughout the site, the terms “we”, “us” and “our” refer to Rhino Building Products. Rhino Building Products offers this website, including all information, tools and services available from this site to you, the user, conditioned upon your acceptance of all terms, conditions, policies and notices stated here. Our store is hosted on Shopify Inc. They provide us with the online woocommerce platform that allows us to sell our products and services to you. Prices for our products are subject to change without notice. We reserve the right at any time to modify or discontinue the Service (or any part or content thereof) without notice at any time. We shall not be liable to you or to any third-­‐party for any modification, price change, suspension or discontinuance of the Service. We reserve the right, but are not obligated, to limit the sales of our products or Services to any person, geographic region or jurisdiction. We may exercise this right on a case-­‐by-­‐case basis. We reserve the right to limit the quantities of any products or services that we offer. All descriptions of products or product pricing are subject to change at anytime without notice, at the sole discretion of us. We reserve the right to discontinue any product at any time. Any offer for any product or service made on this site is void where prohibited. We reserve the right to refuse any order you place with us. We may, in our sole discretion, limit or cancel quantities purchased per person, per household or per order. These restrictions may include orders placed by or under the same customer account, the same credit card, and/or orders that use the same billing and/or shipping address. In the event that we make a change to or cancel an order, we may attempt to notify you by contacting the e-­‐mail and/or billing address/phone number provided at the time the order was made. We reserve the right to limit or prohibit orders that, in our sole judgment, appear to be placed by dealers, resellers or distributors. We may provide you with access to third-­‐party tools over which we neither monitor nor have any control nor input. You acknowledge and agree that we provide access to such tools ”as is” and “as available” without any warranties, representations or conditions of any kind and without any endorsement. We shall have no liability whatsoever arising from or relating to your use of optional third-­‐party tools. Any use by you of optional tools offered through the site is entirely at your own risk and discretion and you should ensure that you are familiar with and approve of the terms on which tools are provided by the relevant third-­‐party provider(s). Certain content, products and services available via our Service may include materials from third-­‐parties. Third-­‐party links on this site may direct you to third-­‐party websites that are not affiliated with us. We are not responsible for examining or evaluating the content or accuracy and we do not warrant and will not have any liability or responsibility for any third-­‐party materials or websites, or for any other materials, products, or services of third-­‐parties. We are not liable for any harm or damages related to the purchase or use of goods, services, resources, content, or any other transactions made in connection with any third-­‐party websites. Please review carefully the third-­‐party’s policies and practices and make sure you understand them before you engage in any transaction. Complaints, claims, concerns, or questions regarding third-­‐party products should be directed to the third-­‐party. You agree that your comments will not violate any right of any third-­‐party, including copyright, trademark, privacy, personality or other personal or proprietary right. You further agree that your comments will not contain libelous or otherwise unlawful, abusive or obscene material, or contain any computer virus or other malware that could in any way affect the operation of the Service or any related website. You may not use a false e-­‐mail address, pretend to be someone other than yourself, or otherwise mislead us or third-­‐parties as to the origin of any comments. You are solely responsible for any comments you make and their accuracy. We take no responsibility and assume no liability for any comments posted by you or any third-­‐party. We do not guarantee, represent or warrant that your use of our service will be uninterrupted, timely, secure or error-­‐free. You agree that from time to time we may remove the service for indefinite periods of time or cancel the service at any time, without notice to you. You expressly agree that your use of, or inability to use, the service is at your sole risk. The service and all products and services delivered to you through the service are (except as expressly stated by us) provided ‘as is’ and ‘as available’ for your use, without any representation, warranties or conditions of any kind, either express or implied, including all implied warranties or conditions of merchantability, merchantable quality, fitness for a particular purpose, durability, title, and non-­‐ infringement. In no case shall Rhino Building Products, our directors, officers, employees, affiliates, agents, contractors, interns, suppliers, service providers or licensors be liable for any injury, loss, claim, or any direct, indirect, incidental, punitive, special, or consequential damages of any kind, including, without limitation lost profits, lost revenue, lost savings, loss of data, replacement costs, or any similar damages, whether based in contract, tort (including negligence), strict liability or otherwise, arising from your use of any of the service or any products procured using the service, or for any other claim related in any way to your use of the service or any product, including, but not limited to, any errors or omissions in any content, or any loss or damage of any kind incurred as a result of the use of the service or any content (or product) posted, transmitted, or otherwise made available via the service, even if advised of their possibility. Because some states or jurisdictions do not allow the exclusion or the limitation of liability for consequential or incidental damages, in such states or jurisdictions, our liability shall be limited to the maximum extent permitted by law. You agree to indemnify, defend and hold harmless Rhino Building Products and our parent, subsidiaries, affiliates, partners, officers, directors, agents, contractors, licensors, service providers, subcontractors, suppliers, interns and employees, harmless from any claim or demand, including reasonable attorneys’ fees, made by any third-­‐party due to or arising out of your breach of these Terms of Service or the documents they incorporate by reference, or your violation of any law or the rights of a third-­‐party. These Terms of Service and any separate agreements whereby we provide you Services shall be governed by and construed in accordance with the laws of 115 owen rd, rose bud, AR, 72137, United States. Questions about the Terms of Service should be sent to us at orders@rhinobuildingproducts.com.